A number of vendors are using this years Channel Expo to build up relationships, as well as a platform to build brand awareness and launch new products. 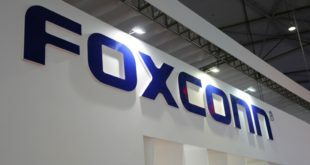 Global manufacturer Foxconn is maintaining a presence and is holding talks with a number of UK distributors and showcasing some items from its production lines, including netbooks, net top boxes, cases and motherboards. Account manager Travis Lin told PCR that the company is here to build its UK presence and promote its role as a tier one vendor. Another Asian presence was shown by Japanese security software vendor K7, which is making preliminary moves in the UK and is taking advantage of the event to look for reseller and distributor partners. International business development manager Maros Mozola said that an event like Channel Expo is the ideal venue for its target market as its software is aimed primarily at the consumer and SMB segments. Meanwhile, PSA Parts was exhibiting its range of batteries and AC adapters, and is showing a number of Duracell products – for which it is an exclusive distributor outside of the US – as well as building awareness of its own 2-Power range of products.